Huge Halloween sale is here! Offer only available for new upgrades. 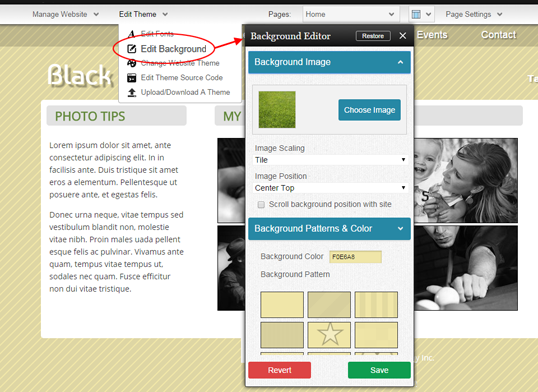 Have a look at the updated Background Editor. You will love trying different background images or patterns to make your site perfect! You can upload your own background image, or you can select one from our huge collection of Stock Photos (like we used in the examples below). You will find the Background Editor under the Edit Theme dropdown in the toolbar.